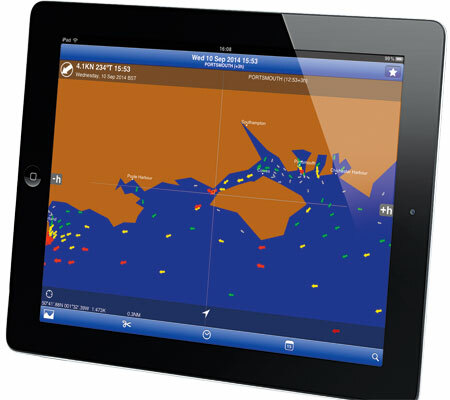 One of the most fully-featured iPad tidal applications available at this time, Tides Planner App comes with the ability to provide tidal data, tide tables, tidal curves, moon/sun phases and rise/set times on 8,000 ports worldwide. Better still, it has an option to download a ‘zoomable’ world map showing current flow direction arrows that are coloured and sized according to stream rate in knots, or even as a UKHO-format Tidal Atlas replica. Although free to download initially, the app requires an in-app extension to make it fully featured. The initial free download only gives the current day’s predictions, but a whole year’s UK data, including tidal streams, can be purchased for a further £3.98 – that is £1.49 for one year’s tidal data plus £2.49 for a once-only UKHO license. This is pretty reasonable considering a printed Admiralty Tidal Stream Atlas currently costs £15. Tidal curve and data can be shown on a split window, or separately if preferred, and the data can be copied to Notepad for passage planning, or even emailed to a friend or another device. More importantly, and unlike many other apps, this one works offline using its own database, so you don’t need to have Internet access to use it. It also features time zone adjustment for local times or GMT/BST. The app is 19.5Mb in size and is compatible with Apple iPads, iPods and iPhones using IOS 5.1 or later. The best tide app I’ve seen.